Haven Horse Ranch first past the post! Not-for-profit organization Haven Horse Ranch has won 1st prize of a Premier mosquito trap, in a recent on-line competition sponsored by Envirosafe Technologies N.Z. Ltd, the manufacturers of Mega-Catch™ mosquito traps. As you can imagine it is hard to get people to focus on anything when they are being eaten by mosquitoes. We have been literally deluged by a 4 day low pressure system that had dropped some 12 to 15 inches of rain on us and the expectations are that in about 1 to 2 weeks we will be battling the worst season of the pesky critters ever. Haven Horse Ranch were judged clear winners In the competition run by Mega-Catch™ as part of its sponsorship of the N.Z. All Star Cheerleaders. 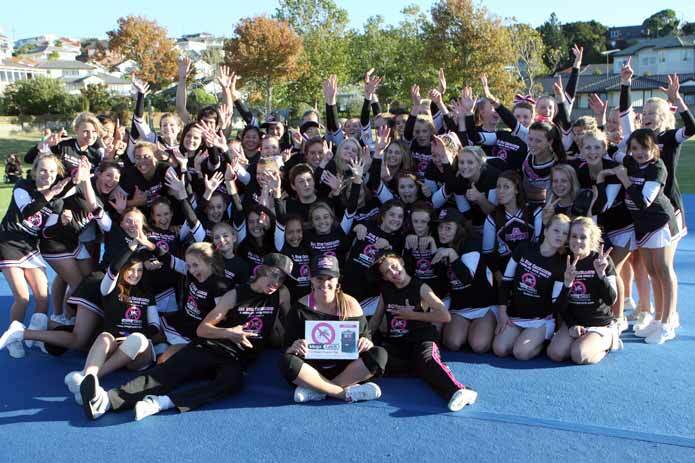 The New Zealanders recently competed at the inaugural World Cheerleading Cup held in Florida. (http://www.megacatch.com/news/ ) where they were a big hit with the locals. Wearing distinctive Mega-Catch™ caps and tops, the teams were constantly bombarded with comments: "love the T-shirts" and "where's New Zealand?". They were not asked about mosquitoes - unfortunately with its temperate climate and regular rainfall, mosquitoes are a well established fact of life in Florida. One of the primary objectives was to develop a trap which would attract and capture nuisance species like the Asian tiger mosquito (Aedes albopictus) which are particularly rampant in Florida. Unlike conventional mosquito traps which rely on various chemicals to attract mosquitoes, Mega-Catch™ traps employ a range of visual stimuli to attract mosquitoes. This is particularly important in the case of Asian tiger mosquitoes, which are aggressive, often attack in packs and unlike most mosquitoes, bite during the day. The Asian tiger mosquito, Aedes albopictus, is among the most invasive of all species and is recognized as an efficient laboratory vector of over 30 arboviruses including Dengue, West Nile Virus, Encephalitis, and Chikungunya. One of the diseases of most concern for those living in the United States is West Nile virus - a serious, life-altering and even fatal disease. Carried by birds and spread by infected mosquitoes, it has killed hundreds of millions of birds and more than 1000 people in North America, with new outbreaks occurring each year. "As you can imagine it is hard to get people to focus on anything when they are being eaten by mosquitoes. We have been literally deluged by a 4 day low pressure system that had dropped some 12 to 15 inches of rain on us and the expectations are that in about 1 to 2 weeks we will be battling the worst season of the pesky critters ever." "We hope you will consider our kids for your prize of the Mega Catch™ Premier." "The horse ranch sounds really cool - I wish we had something like that here in New Zealand", was his reaction after reading about the work Ric and his small army of volunteers does in the community; working with youngsters - teaching them how hard work, being responsible for themselves and the horses they care for, and helping others, will serve them well in life. Mega-Catch™ traps are non-toxic and don't require the use of harmful chemical insecticides, an important factor when used around the home or by organizations like Haven Horse Ranch who work primarily with youngsters. 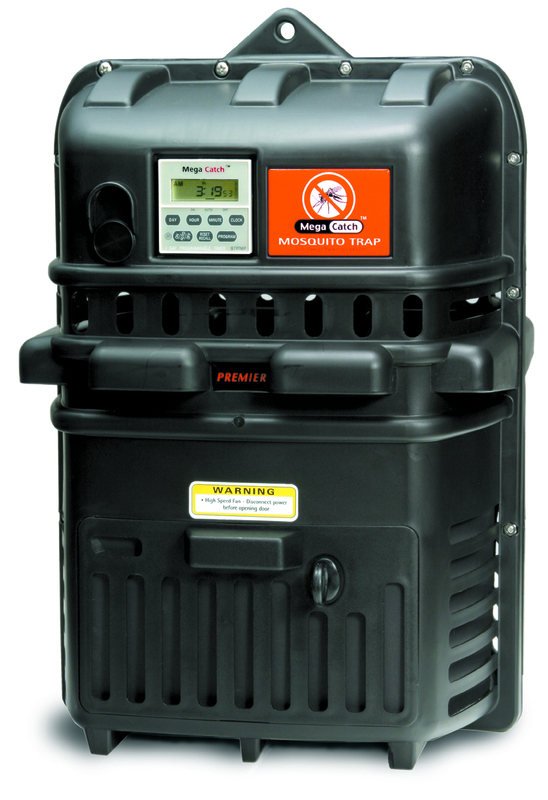 Proven to work in independent scientific tests, Mega-Catch™ mosquito traps have been providing safe, effective and environmentally friendly, long term mosquito control for thousands of US homes and businesses since early 2000. Mega-Catch™ is a member of the American Mosquito Control Association and a responsible manufacturer who recommends the use of mosquito traps in conjunction with other sensible control measures designed to manage mosquito problems. Mega-Catch™ mosquito traps have been subjected to rigorous comparative testing consistently outperforming all other brands tested: "Comparison of Mosquito Species and Numbers Caught in 8 Commercial Mosquito Traps" with results available on the Public Health Entomology Research & Education Center (PHEREC) of Florida A&M University website.